I remember the first time I ever heard Hibria. I was discussing power metal with a friend, who then turned to me and asked if I had ever heard of this Brazilian band Hibria. While I knew the name I had never actually heard the music. He then went on to describe this concert he had been to in at some rundown bar in Kitchener where there had been about 10 people in attendance, but the band played as it there were 10,000. About ten seconds into “Tiger Punch” I knew that this was a band that I was going to be in love with. 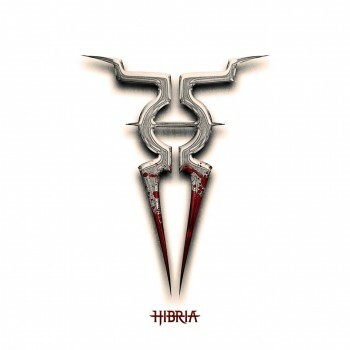 All these years later Hibria is still a band that I have a lot of respect for, and make a point of following which is why I was very excited when I heard about the release of this newest album. I will admit that while I had no reason to be skeptical, I often worry when a band releases a self-titled album later in their career. I find that this can sometimes signify a lack of creativity as a disguise for going back to their roots (Dream Theaters latest effort comes to mind). However after starting this album it became immediately clear that I had absolutely nothing to worry about. The album blasts off with “Pain” a wonderful fusion of Hibria’s signature speed and riffs with the style of Swing music. It was during this track that I realized that this album would be a reflection of where Hibria has come from, but also where they were going from here. The song has the traits of their usual style but it comes off as fresh and new, making it a truly interesting experience. From here the album becomes a much heavier affair than usual. The album is a little more stripped down so that each instrument can play its part. The riffs on this album take the front stage, excellently written and sure to make this the heaviest album of the year. They really come through on tracks like “Abyss”,“Ghosts” or “Fame”. These tracks really show Hibria’s clear roots in Hard rock, and how it integrates with their current sound. This doesn’t mean that the band isn’t afraid to slow things down a bit, the ballad “Life” brings some emotion to the album and proves that they can have a diverse sound while still being a very powerful band. All the tracks on this album really show Hibria telling the listener where they had come from and what they are about while at the same time pushing forward and reinventing themselves on their own terms. This really comes through on the last track “Words” which tells you everything you need to know about the band, and gives you know choice but to accept it. While I was a little disappointed that the album doesn’t quite have the highs of some of their earlier albums, that really isn’t what this is about and the overall quality of this makes it a way above average effort. I said earlier that I was a little worried about the album being self-titled, but when it came to a close I couldn’t think of a better way to represent the Hibria name. It gave me everything I wanted from the soaring vocals to the amazing technicality, it does justice to Hibria’s past while at the same time pushing forward. It shows where they have come from, but also what to expect from them from this point onward, and after this I couldn’t be more excited. -Danny Guts, Laurier Loud, Radio Laurier.